There are many versions of the McGill Pain Index. This one includes various types of childbirth pain as well. 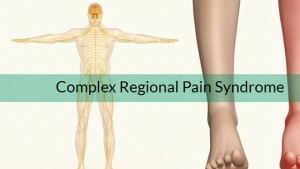 It was the first name coined for RSDS, now sometimes called CRPS. The McGill Pain Index was first developed in 1971 as a way of gauging the quality of pain. It was developed at McGill University by Melzack and Torgerson. When creating this index they included such things as sensory qualities (skin color, temperature changes, pressure, sensitivity…), affective qualities (tension, fear and autonomic properties…), and evaluative issues that help pinpoint the intensity of the pain. This Index is used by doctors and hospitals around the world and is considered a very valuable tool when looking at chronic pain. It is considered to be a valid, reliable, consistent, and above all, useful instrument.